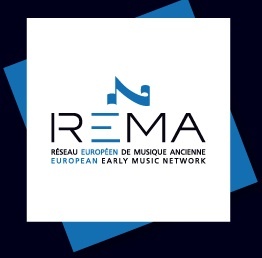 GEMA is the national association of Early music ensembles for Spain. Created in 2010, this structure only gathers ensembles in this specific repertoire. But their actions are very similar to that of FEVIS: national lobbying and representation, actions to encourage mobility, capacity building, etc. MICA – MusicAustria is a national information center dedicated to all actors of the music field. Considering the need for independent ensembles to gather and tackle their specific issues together, MusicAustria accepted to launch a specific programme for independent music ensembles in Austria. ABO is the Association of British Orchestras. It includes both independent and permanent structures and works on European issues such as taxes, instrument transportation… It also collects data on its members in order to formalize ensembles’ impact on economic and artistic levels. Capacity building, information sharing and lobbying are its core activities as a national association. Pearle* is the ‘Performing Arts Employers Associations League Europe’, the European trade federation of Performing Arts organisations. Pearle* represents through its members associations more than 4,500 theatres, theatre production companies, orchestras and music ensembles, opera houses, ballet and dance companies, festivals, and other organisations within the performing arts sector across Europe. Pearle* acts as a forum for exchanging information of relevance to members, for sharing experiences in cultural management and technical skills, for supporting and assisting the formation of employers’ associations …., in addition to serving as the body to make representations to the European Commission and any other authorities whose deliberations may affect the work of the Performing Arts in Europe. Partners: everal structures work in direct collaboration with us.